1. 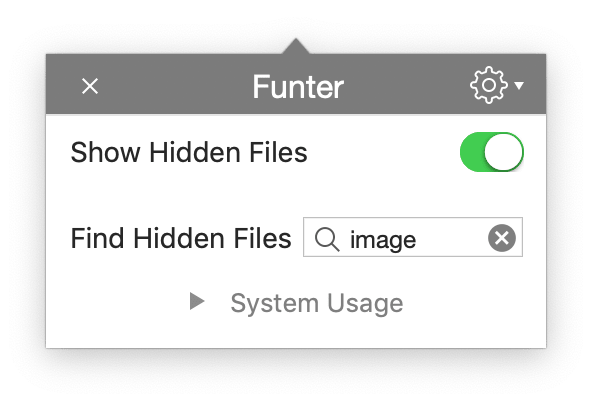 Type the file name in the Funter search field. 2. 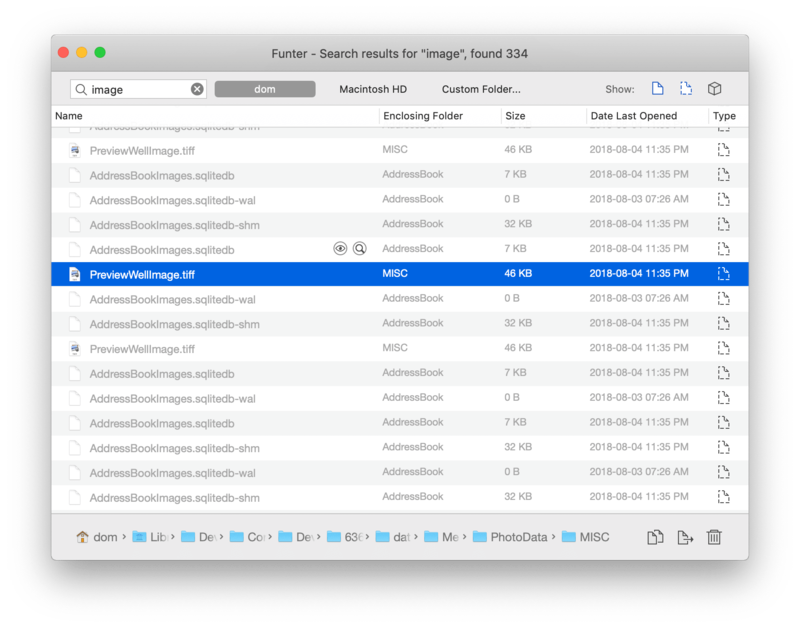 The app will display a list of files that match the search query. 3. 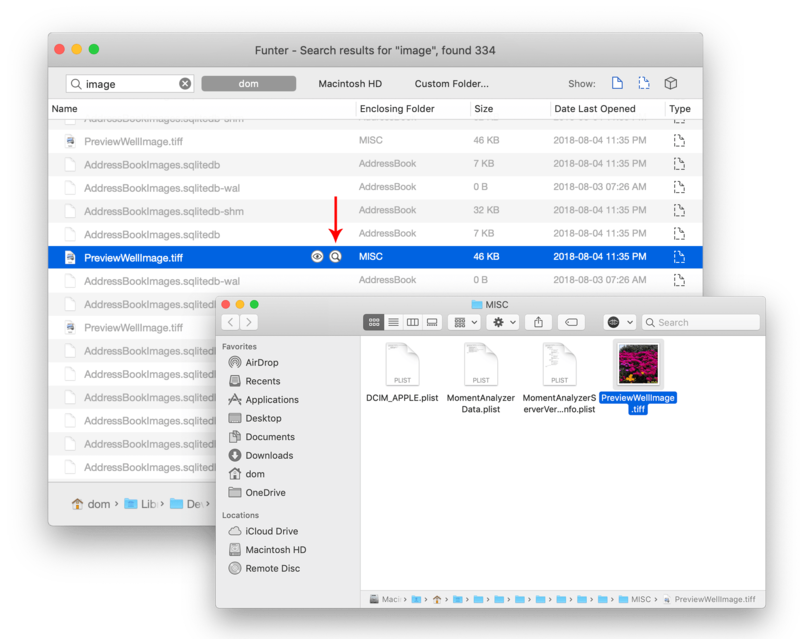 Then you can click the arrow icon to view the file’s location in Finder.